Bought a Condo home in 2017 for approximately $300K in Chesapeake Beach, Virginia Beach, VA.
"DeAnn is passionate about her job and assisting you in finding the best house for you! She's kind, responsive, gives you her honest opinion (which I think is rare), and makes sure you are a part of the whole process and understand it! She knows the area well and will go to bat for you! 100% recommend her." 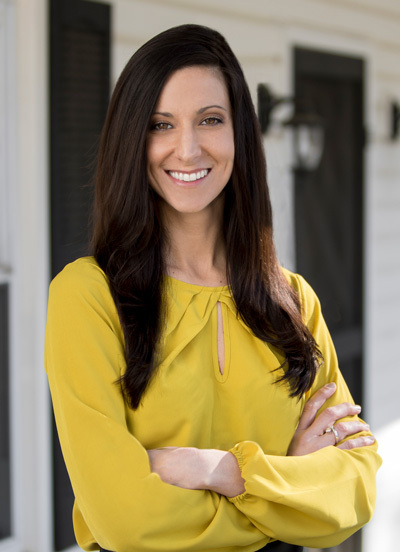 Bought a Single Family home in 2016 for approximately $325K in Chesapeake Beach, Virginia Beach, VA.
"This was my first time buying a home and DeAnn made the process seamless. She's extremely knowledgeable on the area, the process and what it takes to hit the closing date. DeAnn is very on top of her game and not afraid to go the extra mile to remind you of the little things that come along with the home buying process. I also appreciated that she had my best interest the whole time and made me feel very comfortable every step of the way. Her responsiveness, as well as customer service, is top notch and she was always ahead of the next step. I highly recommend her!" Bought a Single Family home in 2016 for approximately $350K in Chesapeake Beach, Virginia Beach, VA.
"We recommend DeAnn highly to represent you as your real estate professional! Deann's familiarity with the Chick's Beach neighborhood was far superior to anyone else we consulted with. She helped us understand the process and facilitated it with expertise. She was also very attentive and responded immediately to any questions/ concerns by making us feel that inquiry was of importance. Overall, our experience far surpassed our expectations!" Sold a Condo home in 2016 for approximately $375K in Chesapeake Beach, Virginia Beach, VA.
"This was my husband and I's first time selling a home so we were nervous and didn't know what to expect. DeAnn came prepared day 1 and told us exactly what we needed to do to get our home sold at the price point we desired. She hired a professional photographer on her own to take amazing drone pictures of our home at the beach and helped us navigate everything that arose during the selling process. Because of DeAnn we got a full price offer within 1 week. I would highly recommend DeAnn to anyone buying or selling!!"